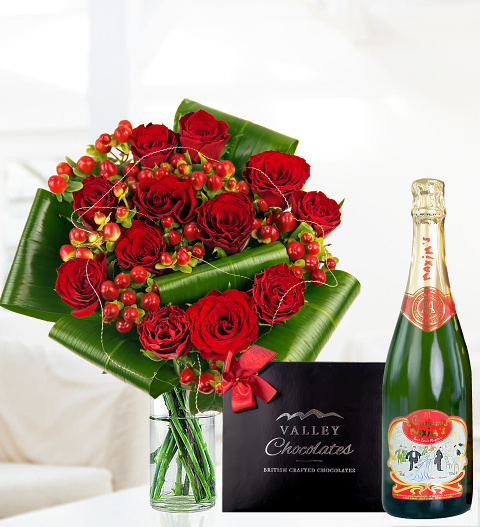 There&apos;s nothing more romantic than a bouquet of perfectly arranged red roses accompanied with a bottle of Award winning Maxims Champagne and a box of luxury chocolates that will melt in your mouth! This bundle gift is great for anyone this Valentine&apos;s Day! Valley Chocolates 150g Chocolates may contain nuts.